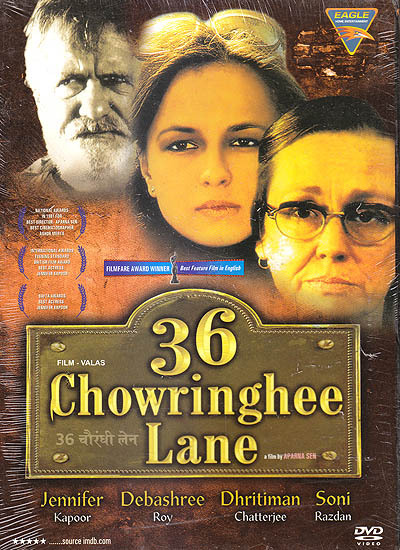 An English – Bengali film made by one of the best filmmakers of Indian history, 36 Chowringhee Lane is the story of an old anglo-Indian woman, Violet Stoneham who works as a teacher in an English medium school during the 70’s. Her daily life includes going to school, thinking and reading letters of her niece who is in Australia and meeting her old aged and diabetic brother, Eddie. And then one day, Violet invites an ex student Nandita and her lover, Samresh to her place for coffee. Samresh, who is an unemployed author convinces Nandita into asking the old lady for the keys to her apartments for some privacy. Violet readily agrees. Here I would like to mention one of my favourite scenes in the film – the one where she sees a nightmare about her long lost love – Danny. The story is about those happy moments in Violet’s life that Nandita and Samresh bring in return of her apartment and what happens, as the nature of human beings is – when they get settled. Personally, I loved the film. Damn the technical glitches. Its hard to believe a story like that, shown like that, could be made at that period. Do watch it if you admire classic cinema.